Evolving Magazine Launches Santa Fe, NM Edition Evolving Magazine, a Kansas City pioneer in the health and wellness market since 2009, is starting a second edition in Santa Fe, NM, May, 2015. A sister publication to Evolving Magazine/Kansas City, the Santa Fe edition will feature stories by and about people in Santa Fe: local/organic foods and nutrition, holistic health and wellness, spiritual practitioners, alternative health experts…in short, all the people and topics for which Santa Fe is renowned. 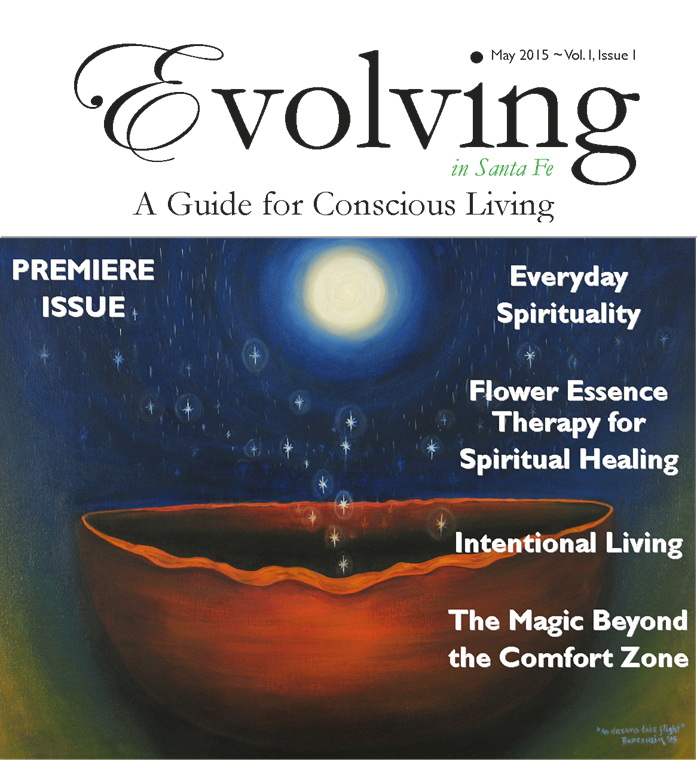 Launching in May, the Evolving Magazine/Santa Fe premiere issue focuses on Everyday Spirituality. Devon Jackson, a Santa Fe resident for 17 years will work as Associate Publisher. To celebrate the launch, there will be a meet-and-greet party at the Santa Fe Oxygen Bar, date and time tba. Evolving Magazine is proud to be a woman-owned business. Publisher, Jill Dutton, has created and launched three publications over a 21 year period: Evolving Woman Magazine (1994-2000), Evolving Magazine/Kansas City (2009-present), Eating Well in Kansas City (2009-2011, now inside Evolving Magazine) and Evolving Magazine/Santa Fe. For more information or to read back issues online, view the website at http://www.evolvingmagazine.com. Contact Jill Dutton for additional information: jill@evolvingmagazine.com.